When it rains you expect everything to smell fresh and clean since the rainwater has cleaned the air and the surrounding area. What people probably don't expect is the smell of a sewer, either out on the street or in their house. Unfortunately, the problem is physics, and it affects both municipal sewers as well as septic tanks owned by private residential homes. 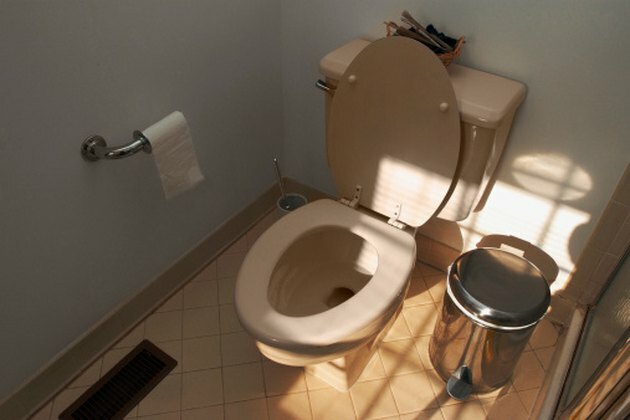 Missing water seals cause sewer smell when toilets get back pressure,. Sewer smell is produced by bacteria and decomposing waste inside the system. Since sewers tend to have composition of moisture and human waste as well as drainage, the mix can produce quite a bad smell. The off-gassing can also be toxic. As a result, sewer systems tend to have designs that cutoff the escape of sewer gas. Residential toilets have a u-bend in their system where water sits, forming a seal. Municipal systems tend to be designed with a main tank located far away from trafficked areas. Rainwater runoff has to go somewhere when it falls, and water has a tendency to follow gravity to the lowest point it can. With both septic systems and municipal drainage this means pouring into any culvert or break in the tank the water can find. As the water collects, it takes up space. This effect causes gas to move upward as the volume of water has a higher density than the fumes. As a result, the fumes begin to come out of the sewers, causing a big stink. When the water seal inside a toilet dries out or a leak causes the seal in the toilet's u-bend to drain, then sewer gas from below can begin to rise. As it rises it will escape into the bathroom and collect inside the home. This effect can affect an entire household very quickly, as well as make people sick. The effect frequently occurs when it rains since water draining into sewer systems causes gas to back up into the pipes coming from homes. Aside from calling the city to have a crew come out and deal with the issue, not much can be done about odor from a municipal sewer outlet. Once the rains stops and the water drains out to the pumping station, the smell will subside. However, neighbors should make a concerted effort to notify the city so repair crews can locate where any problems may be occurring due to blockage in the drain system. Many times in rural areas that begin to see development, a leach field may have existed previously. If the development doesn't properly remove the tile forming the bed of the leach field, the wastewater will drain to a low point, frequently the basement of a nearby house. As a result, the basement will smell as the water leaks into the basement drain point in the floor. Anyone planning a basement should make sure there are no past leach fields within 30 feet of the dig area.